I am lucky enough to have been able to get two lovely bags from Jo Totes. I've had the Rose bag for a few years and got the Betsy in 2012. I love them both, but felt I wanted to praise the newer one a little extra in this layout. 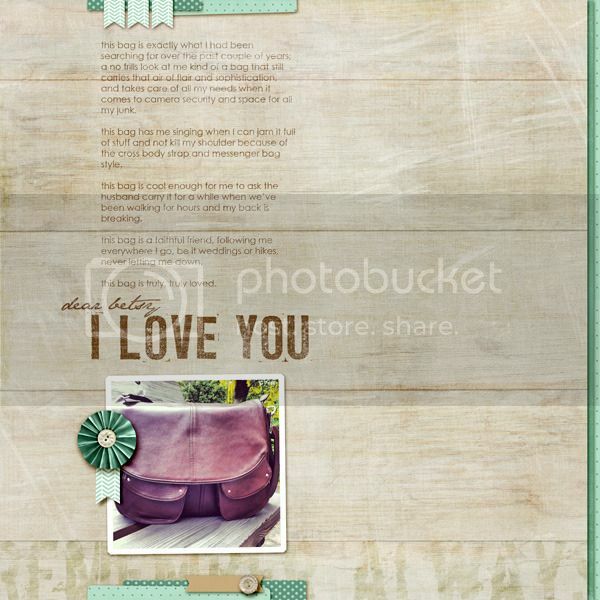 You can pick up the new gorgeous Knock On Wood papers by Liv.e Designs today at JessicaSprague.com!